Fujitsu today announced that it is providing its Fujitsu Software LiveTalk for use in Kikkoman Corporation's restaurant, Kikkoman Live Kitchen Tokyo, set to open November 1. LiveTalk translates to a customer's preferred language in real-time and displays it as text on multiple mobile devices. Used as a communication tool, LiveTalk will facilitate the international exchange of food culture with a diverse range of customers, including tourists and foreign residents in Japan who have a variety of cultural and international backgrounds. At Kikkoman Live Kitchen Tokyo, LiveTalk will translate explanations of ingredients and culinary techniques provided by chefs and food preparers into the guests' native languages in real time, displaying the translation as text on tablet devices. This use of LiveTalk marks the first time the service has been used for multilingual translation in a restaurant setting. 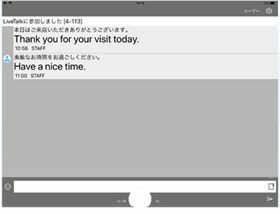 By introducing its LiveTalk solution at Kikkoman Live Kitchen Tokyo, Fujitsu demonstrates its continued commitment to supporting smooth, multilingual communication in a variety of usage scenarios. Part of Kikkoman Corporation's management philosophy is promoting the international exchange of food culture. Kikkoman Live Kitchen Tokyo is a restaurant that aims to enable people from around the world, including Japanese people, tourists, and foreign residents, to experience an international exchange of food culture, tasting global and fusion cuisine while enjoying talks and cooking demonstrations from chefs and others involved in food preparation. To help create an atmosphere of open communication Fujitsu is deploying its LiveTalk solution at Kikkoman Live Kitchen Tokyo, supporting communication across multiple languages. Menu (Concept): The restaurant will provide multi-course meals changing every month based on a theme of fusion, with tag teams of chefs and cooks from a variety of genres from both inside and outside Japan combining cuisines including Japanese, French, Italian, and Chinese food. 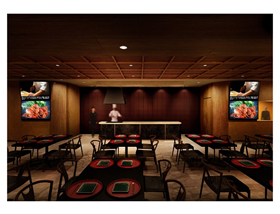 The meals will use local specialty ingredients from across Japan, taking on the challenge of developing new dishes. Experience Details: As culinary professionals prepare dishes on a specially designed kitchen stage, customers can read real time text translations of what the chefs and food preparation staff are saying on tablet devices in the language the customer specifies by using the LiveTalk application. Fujitsu Software LiveTalk - Developed by Fujitsu Social Science Laboratory Limited, it supports voice recognition and automatic translation for 20 languages, specifically, Japanese, as well as English, Chinese (simplified), Chinese (traditional), Korean, French, Spanish, Arabic, Russian, Portuguese, German, Italian, Polish, Dutch, Danish, Finnish, Swedish, Norwegian, Catalan, and Hindi.